Victorian Treen Two Tier Egg Rack - Two Dozen Eggs. 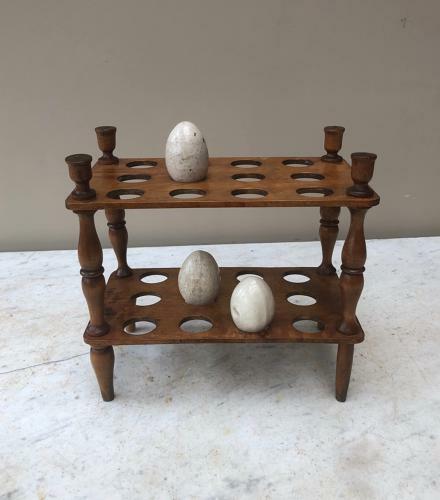 Victorian Treen Two Tier Egg Rack with Turned Column Supports. Very good, strong condition. Holds 12 eggs on each tier - 2 Dozen in total.